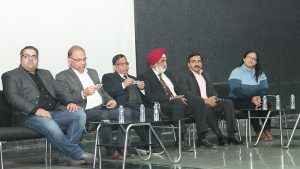 Faculty of Computer Applications (FCA) and Manav Rachna Innovation and Incubation Centre (MRIIC) , Manav Rachna International Institute of Research and Studies (MRIIRS) in collaboration with ICDL India hosted a one-day workshop on ‘ICT Skills in the Era of Industry 4.0’ recently. ICDL is the world’s largest Digital Skills Certification body headquartered in Dublin, Ireland with a presence in more than 100 countries across the globe. The Workshop started with an introductory note by Mr. Umesh Dutta, Deputy Director, MRIIC followed by an Inaugural note by Dr. Naresh Grover, Dean Academics, MRIIRS and Dr. M.K.Soni, PVC, MRIIRS. 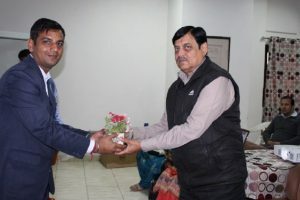 Executive Director MRIIC Dr. B.S. Gill, Professor and HOD FCA Dr. S.S. Tyagi were also present in the session. The first session by our guest speaker, Ms. Saher Mahmood – Head of Communication & Advocacy from ICDL India discussed the new possibilities created in the Digital Era. The world is going digital & so are the future jobs. But the foundation of those jobs remains rooted in the ICT Skills which is why it gets even more important for everyone to be digitally skilled. 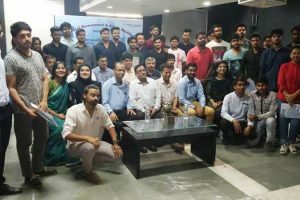 The workshop focused on awareness about indispensability of Digital Skills in the era of Industry 4.0 through an interactive session with the students on ICT Skills awareness and development. 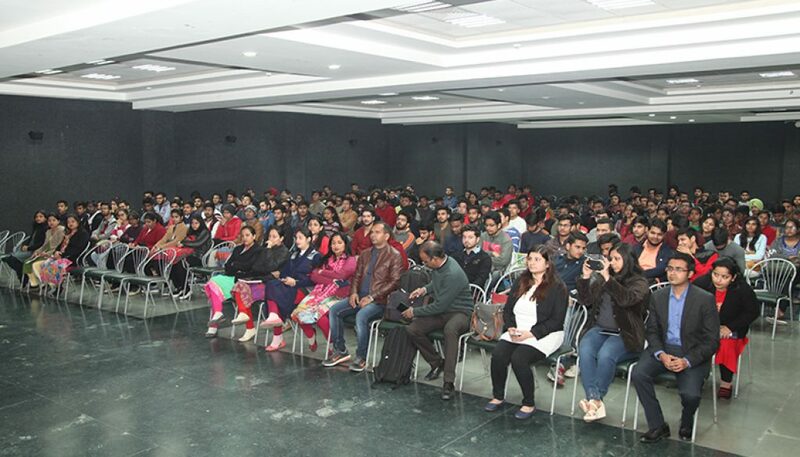 Mr. Shailendra Dixit – Director, Academy SIDM spoke on Digital Marketing & how technology in everyone’s life has pushed the frontiers of Marketing. The workshop also saw the launch of “ICDL Digital Challenge 2018” which is an Asia wide search for Top students with ICT Skills. The India – leg of this competition has been launched with first round of testing for hundreds of BCA, B. Tech & MCA students at MRIIRS on the day of the workshop. 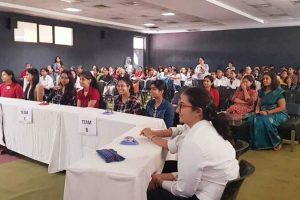 The winner from India will get a chance to represent India and compete with toppers from 11 other Asian countries to win the coveted ICDL Digital Challenge 2018 trophy. The event finally concluded with Vote of Thanks.